Works as Senior Psychological Therapist at First Psychology Centre, Edinburgh. 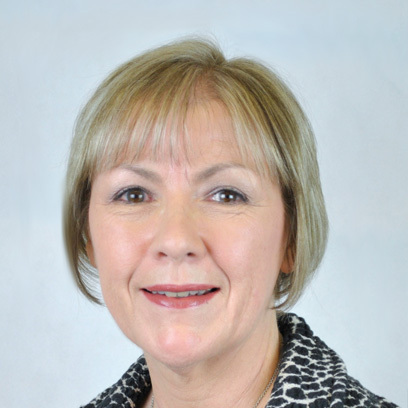 Geraldine Brady is an experienced Psychological Therapist who works with adults, children & young people (5-15) and families at First Psychology Edinburgh. Geraldine works with clients with a wide range of issues including: anxiety-related issues such as phobias, social anxiety, trauma/PTSD, panic disorder, health anxiety, obsessive compulsive disorder (OCD) and generalised anxiety disorder; stress; depression and mood issues; anger/irritability; low self-esteem; bereavement; insomnia; relationship issues (individual client only); and adjustment issues relating to life transitions. She is also experienced in working with families experiencing emotional and behavioural difficulties such as ADHD and Asperger's Syndrome. Geraldine uses a range of evidence based therapies in her work including Cognitive Behaviour Therapy (CBT) and related therapies such as Mindfulness Based Therapy and Compassion Focused Therapy. She takes a person-centred/humanistic approach to therapy and works with clients to build a strong therapeutic relationship, which she believes is key to successful therapeutic outcomes. Geraldine is also trained in Theraplay, which is a structured play therapy for children (5+) to improve bonding/attachment based relationship difficulties with parents and carers. Geraldine combines Theraplay with a Systemic approach when working with families. In addition, Geraldine offers clinical supervision for CBT practitioners. Geraldine worked as a psychological therapist in mental health services for over eight years where she worked with adults, children and young people with mild to severe mental health difficulties. She has practised in a variety of settings including: primary care adult mental health services; university staff and student counselling services; and in private practice. More recently, she worked for three years in a specialist outreach team for children and young people in primary and secondary schools as a senior cognitive behavioural therapist and Theraplay practitioner. Geraldine has experience liaising with families, schools, multi-disciplinary professionals, and children and young people's health and social services. Geraldine holds a masters level Diploma in Cognitive Behavioural Psychotherapy (CBT), a Diploma in Person-Centred Counselling and a BSc Honours Degree in Social Sciences. She has trained in Mindfulness, Compassion Focussed Therapy and Trauma Focussed CBT. Geraldine has undergone specialist training in CBT with children, young people and families at Oxford Cognitive Therapy Centre. She has also trained and practised in Play Therapy (Theraplay). Geraldine is eligible for accreditation by the British Association for Behavioural and Cognitive Psychotherapies (BABCP). Geraldine charges £80 a session for self-funding clients. She also works with clients referred via their employer/organisation – for further details, please visit First Psychology Assistance.